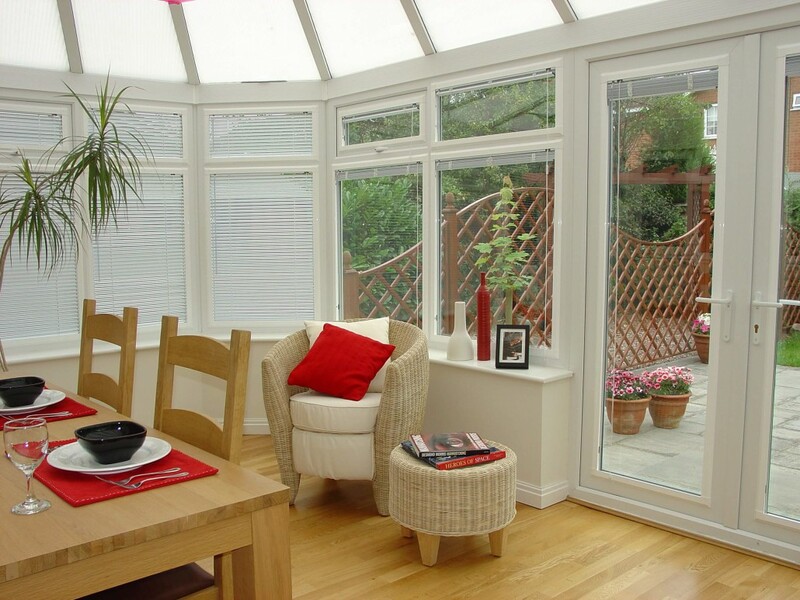 A conservatory is an amazing addition to any home, giving valuable extra space within a light & airy environment that can be enjoyed throughout the year. 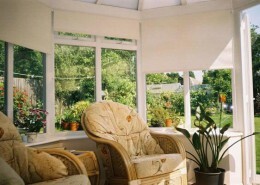 However a conservatory without blinds, is not fulfilling its potential – it’s just not finished. 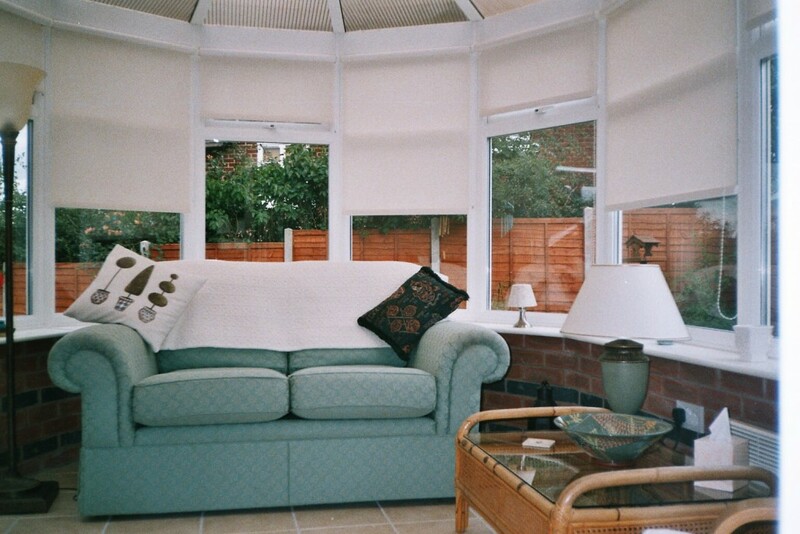 ‘With over 25 years experience of getting the best from your home, Shades of Stafford has a range of fabulously, stylish blinds that will ensure your conservatory is transformed into a room you’ll truly love. 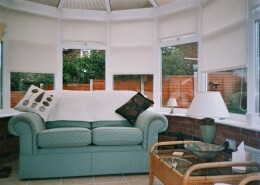 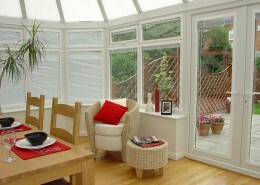 With expert advice on hand you can be sure you choose the right style & type of blind to suit your conservatory needs. 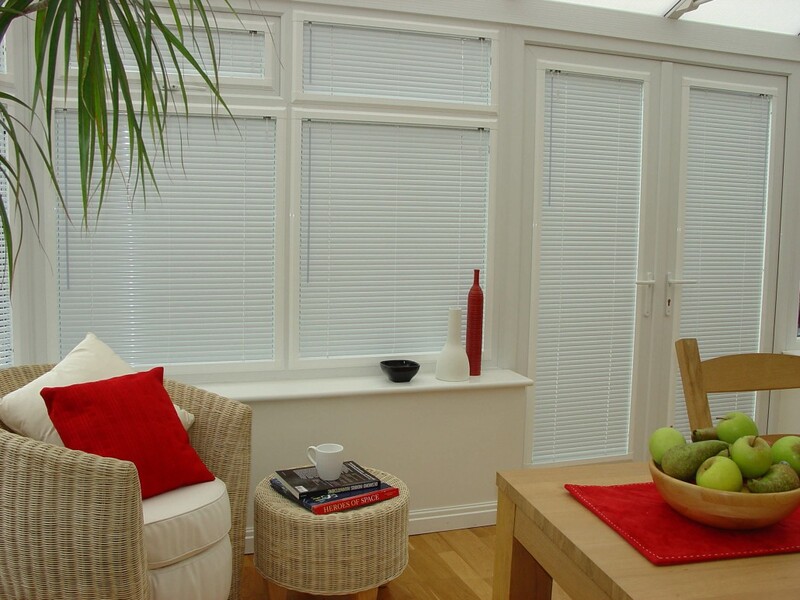 Measuring and installing your blinds with great attention to detail, will guarantee your blinds are made and fitted to perfection. 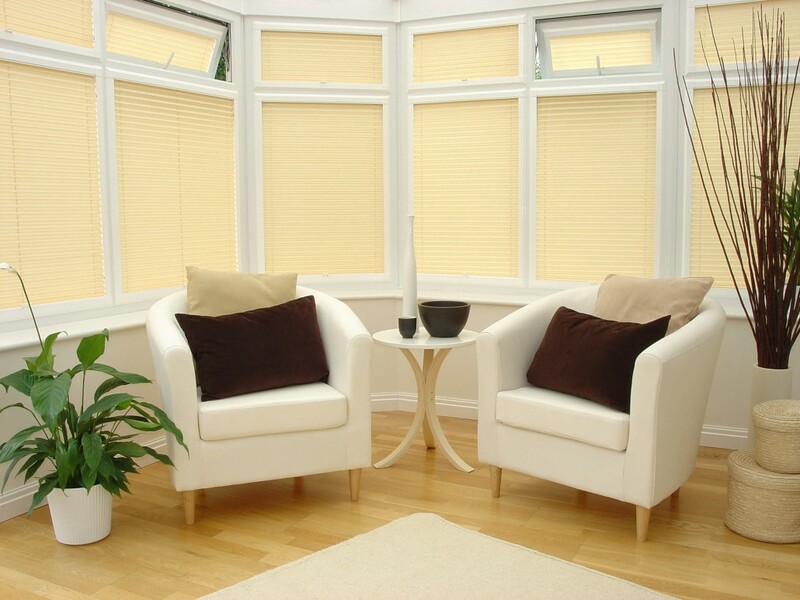 Providing you with the ultimate finishing touch and blinds that will look great and perform just as well, for many years to come. . . . Guaranteed. 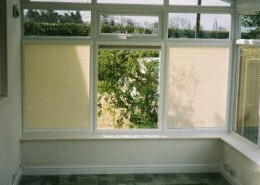 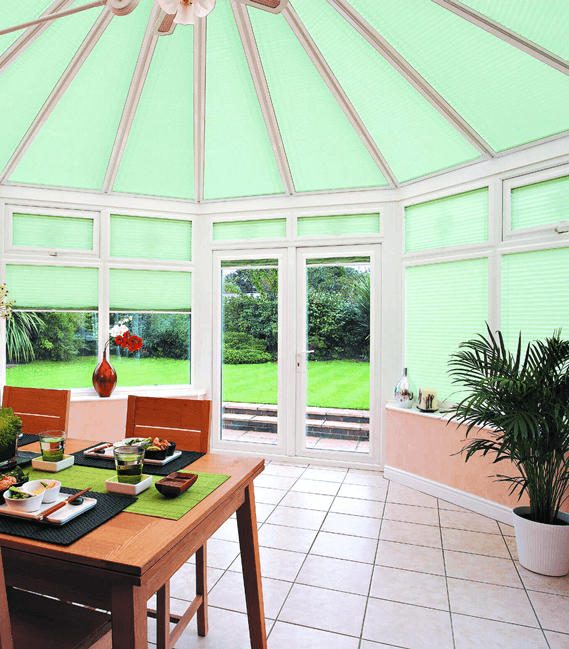 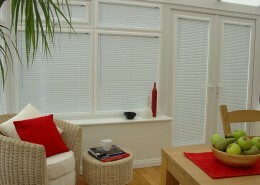 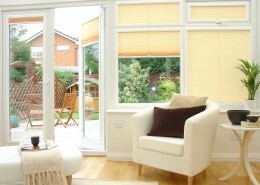 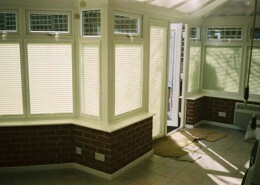 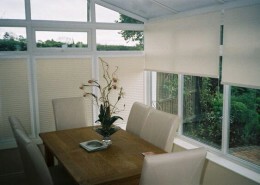 Pleated Blinds are extremely popular in conservatories and come in a variety of systems. 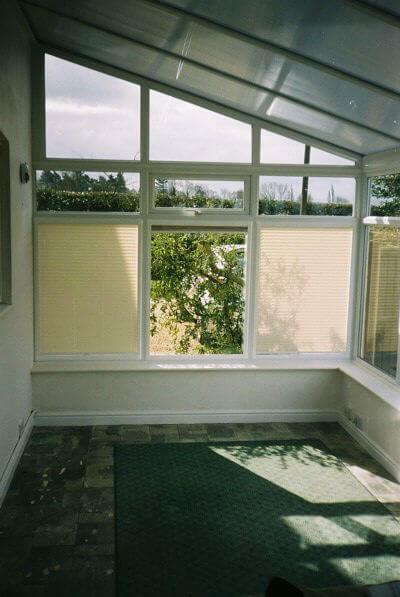 Tensioned with guide lines and shaped angles are ideal for those tricky roof shapes. 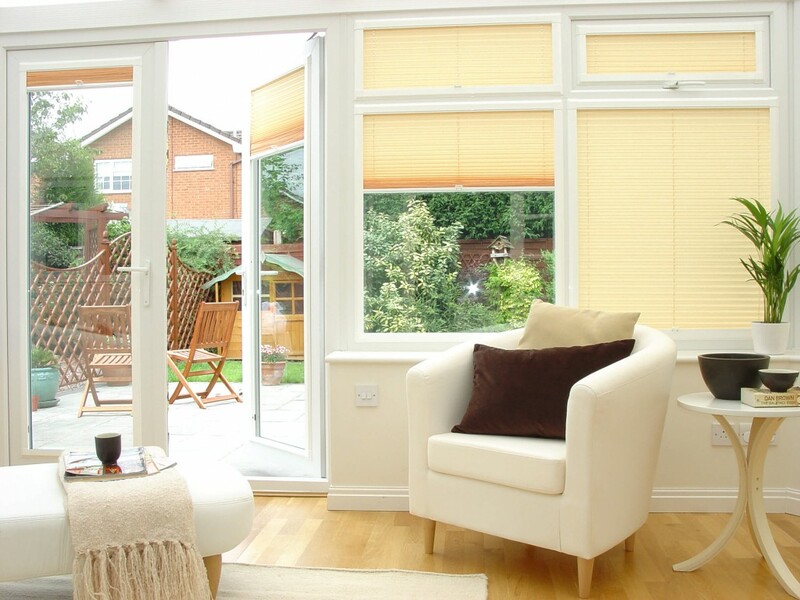 Free-hang blinds on the side windows not only give you shade & privacy but also allow you the opportunity of an unspoilt view of the outside world & uncluttered sill when the blind is fully retracted. 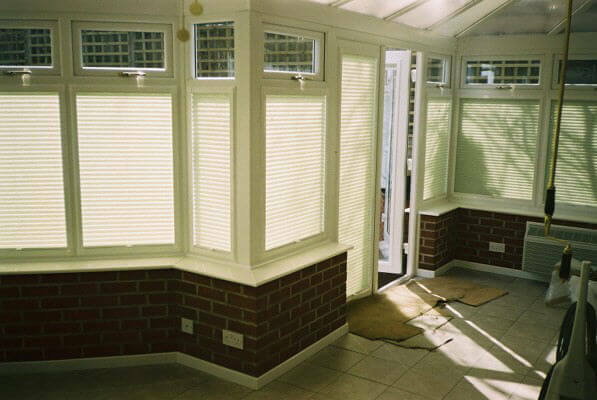 Add to these a rectangular tensioned blind, ideal for any opening door or tilt & turn window and you will appreciate the appeal of the Pleated Blind. 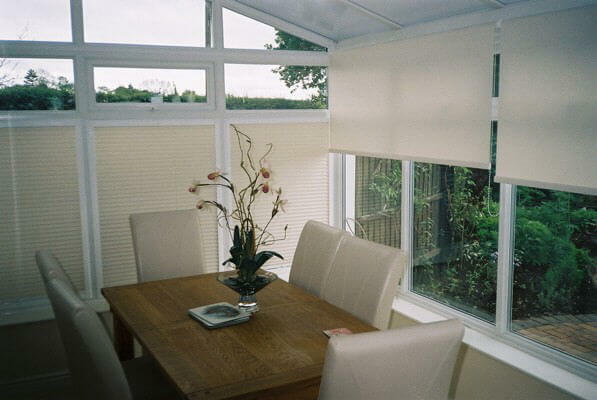 Fabric has been developed to enable its use for different blind systems, so matching roof pleated blinds with rollers & verticals for the side windows is at last achievable with ease. 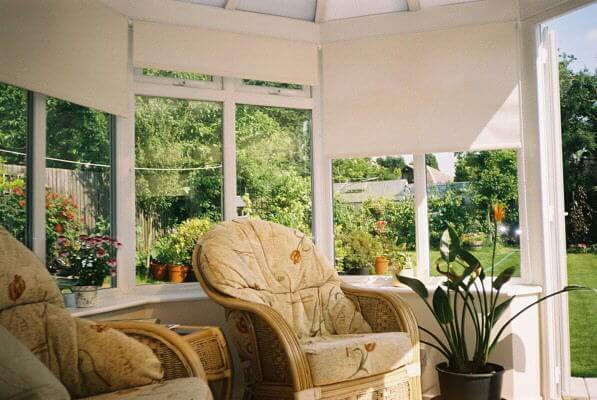 A conservatory should be a room to be used all year round – with practical advice & experience, Shades will help to achieve the solution that not only looks great but will perform better too.